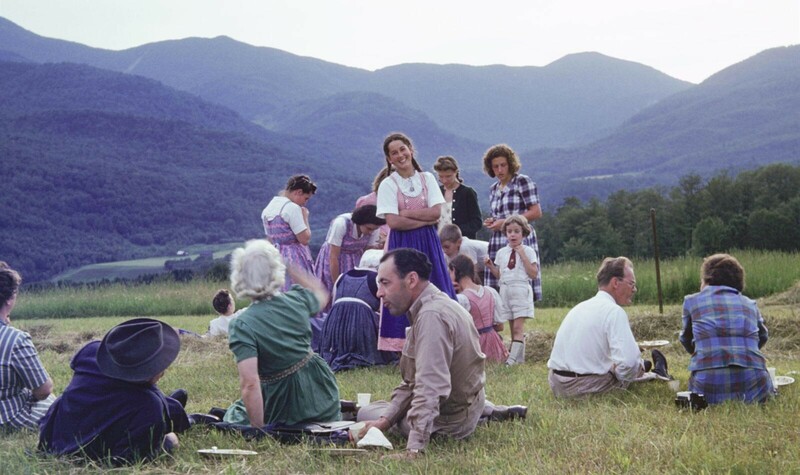 In the early 1940s, the von Trapp family toured the United States as the Trapp Family Singers before eventually settling in Stowe, Vermont on an enchanted farm with sweeping mountain vistas reminiscent of their beloved Austria. In the summer of 1950, they began welcoming guests to a rustic, 27-room family home/lodge. After a devastating fire in 1980, the original structure was replaced by the new Trapp Family Lodge, a striking, 96-room alpine lodge situated on 2,500 acres offering magnificent indoor and outdoor resort amenities. The entire property is owned and operated by the von Trapp family. 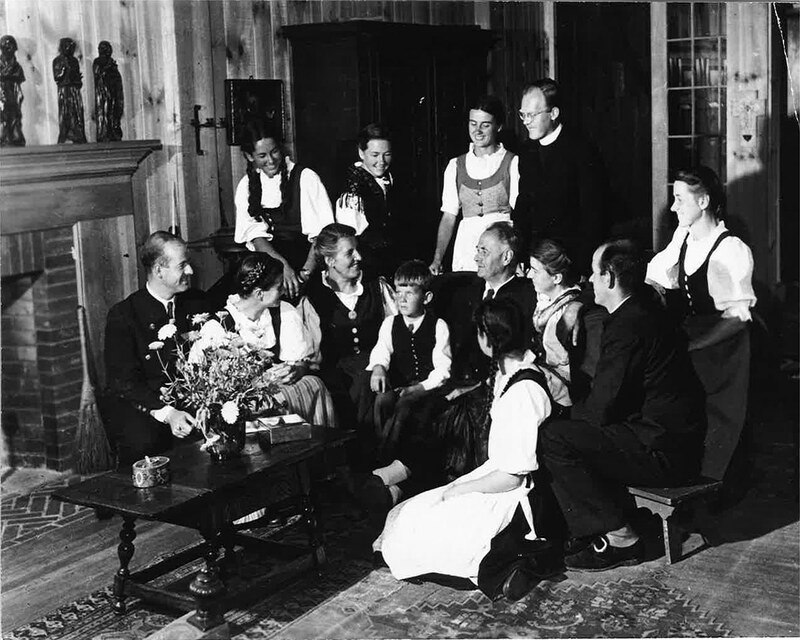 You can learn all about the von Trapp family history by reading below or taking a tour while staying at our resort. Born on a train en route to Vienna on January 26, 1905, Maria Augusta Kutschera’s anxious entrance into the world set in motion a life full of remarkable and challenging events that would be immortalized on stage and screen. Maria’s mother died when she was only 2 years old and her father left her with an elderly cousin, where she experienced a lonely and strict upbringing. Surprisingly, Maria grew up as a socialist and atheist who was cynical of all religions, until a chance meeting with a Jesuit priest at her college changed her beliefs and the course of her life. Maria dedicated her life to the convent, but was taken away from the outdoor activities she loved so much. As a result of her lack of fresh air and exercise, her doctor became concerned for her health and the decision was made to send her to the home of retired naval captain, George von Trapp. Her position was not governess to all the children, as the movie portrayed, but specifically to the captain's daughter who was bedridden with rheumatic fever. The rest is truly history. Maria never returned to the convent and married the Captain on November 26, 1927. This is the story that has been made immortalized by The Sound of Music. Maria von Trapp passed away on March 28, 1987 and is interred in the family cemetery at the Trapp Family Lodge. The South Seas – I remember Father's dream of taking the entire family to the Marquesas Islands, in the South Seas, where he had visited as a young Naval Cadet. That dream never materialized. Instead we went to America. The Whistle – As a U-boat commander, he needed a Bosun's Whistle to give commands, especially in the howling winds and roaring sea where a voice could be drowned out. In Salzburg, we had a large house and large gardens, so he used that whistle to call us instead of his voice, which we might not have heard. Each one of us had a special call, and one call for when he wanted all of us. When we heard this, we stormed to him, but we never had to march or stand at attention. 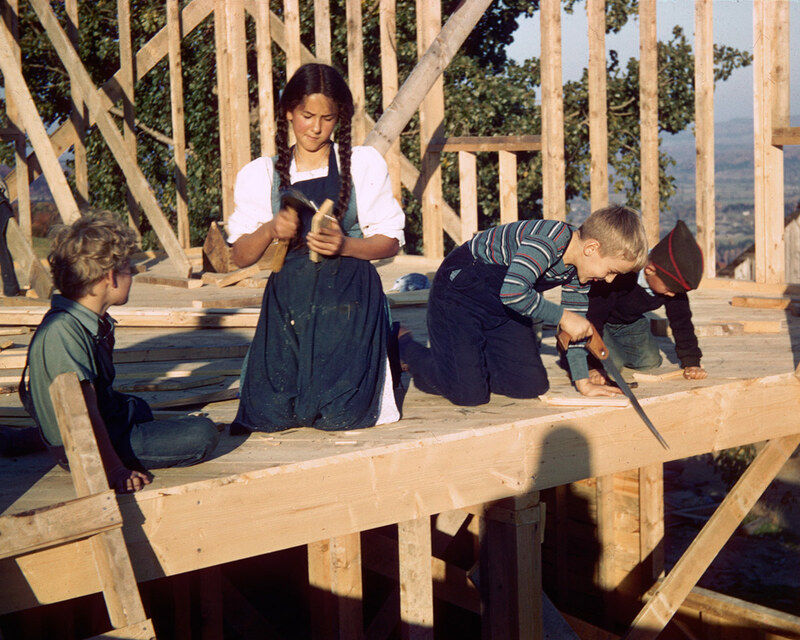 A Few of Our Favorite Things – In our garden, Father built a big, open hut with three walls and a roof. It was large enough to hang hammocks inside and we each got our own. Then he demonstrated how to sleep in them without falling out. He also bought folding, rubber canoes with canvas sails and showed us how to use them. On our little outings, Father taught us how to make fires without matches and how to roast potatoes and apples in the hot cinders. When we lost our money, because the bank failed during the Depression, he started a chicken farm. We learned how to take care of the chicks and how to sift out the ones that did not lay eggs. Agathe's book, Memories Before and After The Sound of Music, contains other wonderful stories about Father. 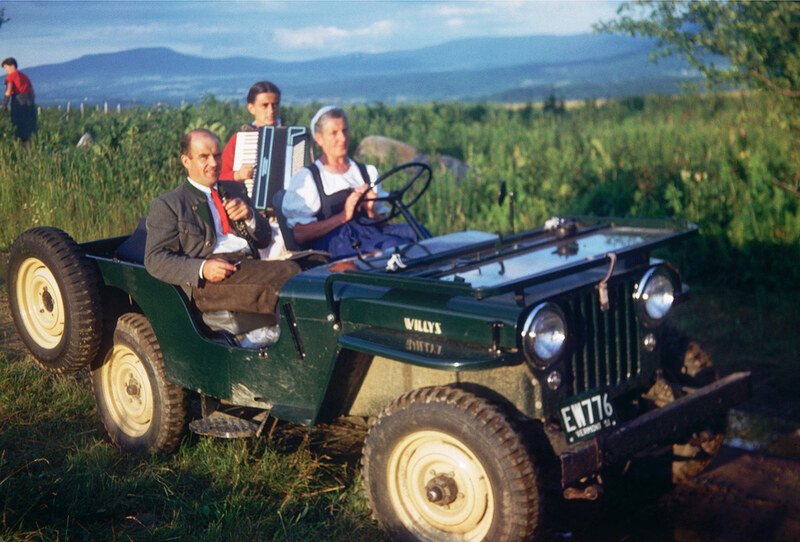 Werner von Trapp was born in Zell am See, Austria in 1915, the fourth child and second son of Captain Georg von Trapp and his first wife, Agathe Whitehead. He studied cello at Salzburg’s Mozarteum in the 1930s, and became proficient on several other instruments, as well as in the art of composing and arranging. He sang tenor with his family’s choir, The Trapp Family Singers, who won great acclaim throughout Europe after their debut in 1935. 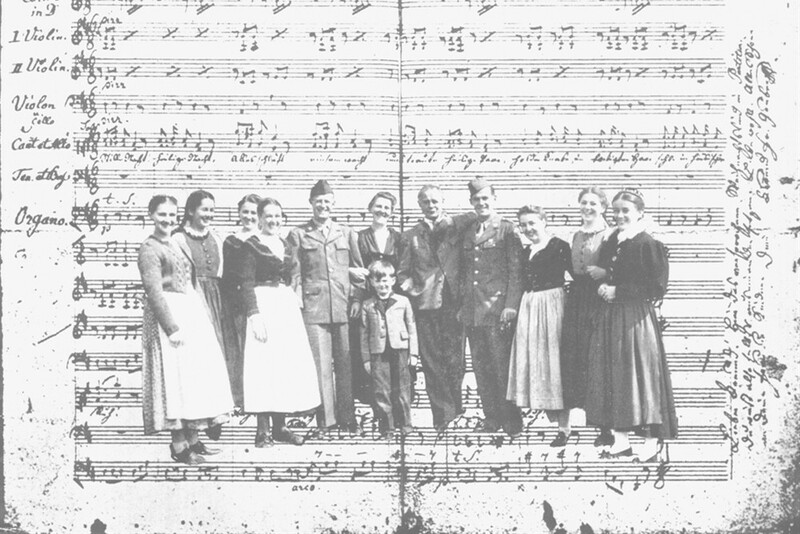 The von Trapp family escaped from Nazi occupied Austria when Werner was 23 in 1938. They arrived as refugees in New York where they quickly became popular with concert audiences, performing in the U.S. and 30 other countries until 1956. Werner joined the U.S. Army in 1943 and served in Europe with the ski troops as part of the 10th Mountain Division. 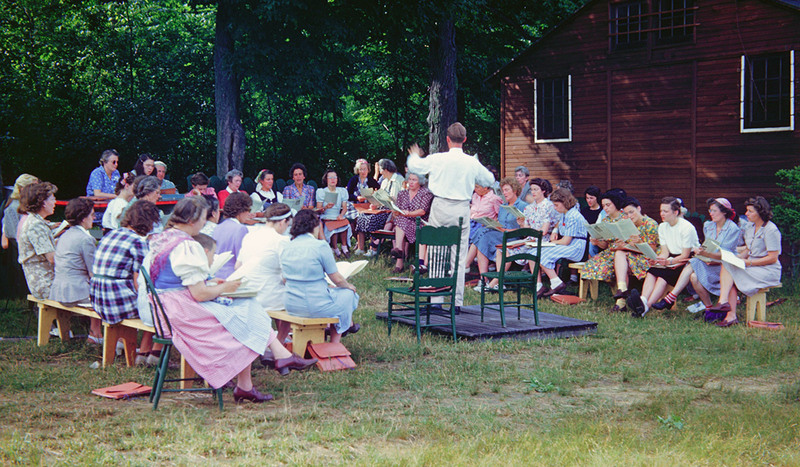 After the war, he returned home to the family farm in Stowe, Vermont and resumed touring with the family choir. He married Erika Klambauer in 1948 and the two has six children. After the Trapp Family Singers retired from the stage, Werner helped found a music school in Reading, Pennsylvania called the Community School of Music. Years later, he and his family settled on a dairy farm in Waitsfield, where he worked until retired in 1979. He spent many years enjoying his family, traveling, and lifelong hobbies before passing away at the age of 91 on October 11, 2007. Agathe von Trapp, known as Leisl in the movie The Sound of Music, was born in Pola in the former Austro-Hungarian Empire. Her mother died of Scarlet Fever when Agathe was only 10 years old. Agathe’s siblings describe her as shy and private. She was a good painter and singer, who toured with the Trapp Family Singers until she was 43. She then moved to Baltimore and lived a quiet life as a kindergarten teacher's helper at a private Catholic school affiliated with the Sacred Heart Parish for many years. At the age of 91, Agathe published her memoirs, Agathe von Trapp: Memories Before and After The Sound of Music, which detailed her family’s history and genealogy as well as how she really felt about the film and Broadway play that portrayed them. The Sound of Music portrayed her father as cold, unfeeling, and distant, but Agathe insists that the Captain was kind, loving, and helped her and her siblings learn to sing. She also states that the family did not cross the Alps to escape Austria after the Captain was asked to serve in the Nazi army. She says they simply crossed the street, boarded a train, and requested asylum in the U.S.
Before The Sound of Music, the von Trapp story was told by the Germans in two films, Die Trapp Familie (The Trapp Family) in 1956 and Die Trapp Familie in Amerika in 1958, both of which were written by Herbert Reinecker and directed by Wolfgang Liebeneiner. In 1959, the play, The Sound of Music, opened on Broadway and because of its popularity, Hollywood made it into a film in 1965. The film starred Julie Andrews as Maria and Christopher Plummer as Baron von Trapp. It received an Academy Award for “Best Picture of the Year.” The film is a worldwide favorite, and the family even received medals of honor from the Salzburg government in 1998 because of the increase in tourism caused by the movie. Even though it is loved by many, the von Trapps insist that the film is not a documentary of their life. Rodgers and Hammerstein were inspired to write it after reading their mother's book, The Story of The Trapp Family. However, because the family sold the rights to their story to the German film company, they had no control over the content of The Sound of Music. As a result, there are some differences, especially in the way their father was represented and the way they escaped Austria. 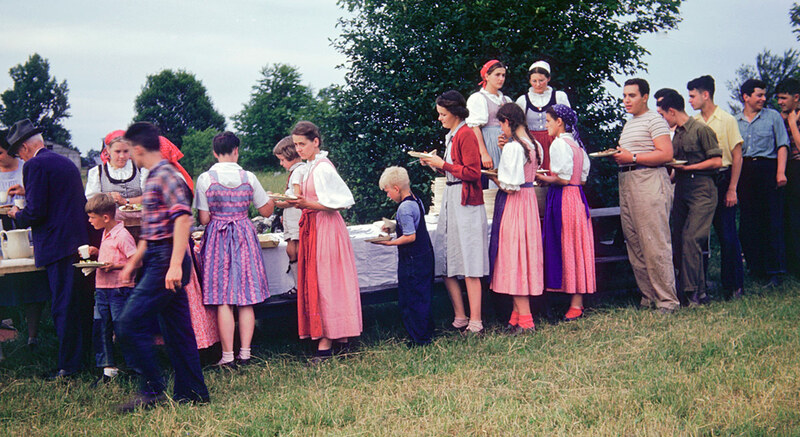 1905 A native of Zillertal, Tirol, Austria, Maria Augusta Kutschera born in Vienna on January 26th. 1926 Maria was chosen by the Mother Abbess to help the Baron Georg von Trapp with his seven children and tutor young Maria who had contracted scarlet fever. 1950 Maria wins St. Francis de Sales Golden Book Award from the Catholic Writers Guild for best book of non fiction, The Trapp Family Singers; award winning Broadway hit and Oscar-winning film, The Sound of Music, based on this book. 1959 Rodgers & Hammerstein's Sound of Music opens on Broadway; Mary Martin plays Maria. 1980 Old Lodge burns to the ground in tragic fire on December 20th. Cause of the fire remains unknown. 1997 Austrian Military Academy visits Trapp Family Lodge in honor of Captain Georg von Trapp on the fiftieth anniversary of his death. Full ceremony at the gravesite with von Trapp family in attendance. The Sound of Music re-opens on Broadway at the Martin Beck Theatre. Von Trapp family members attend the gala opening. Family Fun magazine highlights TFL's "Family Package" as the "Family Traveler's Great Deal. Lodge earns environmental designation as a "Green Hotel in the Green Mountain State." Gourmet Magazine's Reader's Poll names TFL among the top 5 hotels in America as "Tops for Pursuits and Pleasures" in the Skiing/Winter Sports category. Trapp Family Lodge adds 24,000 square foot meeting space and accommodations. Three meeting rooms and twenty-three guest rooms and suites. 2004 The first four Villas at Trapp Family Lodge are completed and sold. The project to be spread out over a five year period with a total of forty units built. Sam von Trapp, son of Johannes becomes Vice President of the Lodge. Werner dies October 11, 2007. Trapp Family Lodge starts developing mountain bike trails on the 2500 acre property. Sam von Trapp implements snowmaking for the cross-country ski center. The Lodge celebrates the 40th anniversary of the Cross-country ski center. Johannes & Sam von Trapp were highlighted in the New York Times Christmas Day. Trapp Family Lodge was featured and ABC National World News along with airing their first commercial during the "The Sound of Music"
Trapp Lager is introduced in April. Agathe dies December 28, 2010. 2014 Maria Franziska von Trapp dies on February 18, 2014. 2015 von Trapp Brewing opens new expanded on-site brewery.